Ford Motor Co. announced three recalls on Friday that affect various 2013 models including the Ford Fusion, Explorer, Flex, Taurus, Police Interceptor, and Lincoln MKS, MKT and MKZ. The largest recall covers 465,000 all-new Ford Fusion, Explorer, Flex, Taurus, and Police Interceptors utilities and sedans, and Lincoln MKS, MKT and MKZ vehicles, which may catch fire. Specifically, certain models may suffer from fuel leaks—which when in the presence of an ignition source—may result in a fire. The recall affects 390,000 vehicles in the United States. As of March 31, Ford has received 600 complaints of fuel leakage. There have been no reports of fires, according to the Dearborn-based automaker. Ford is also recalling 500 model year 2013 Lincoln MKZ sedans—100 of which are in the U.S. and another 400 in Canada. The vehicles in question are equipped with engine block heaters that may be improperly insulated. As a result, the engine block heater electrical cord may crack, which increases the risk of electrical shock and corrosion. 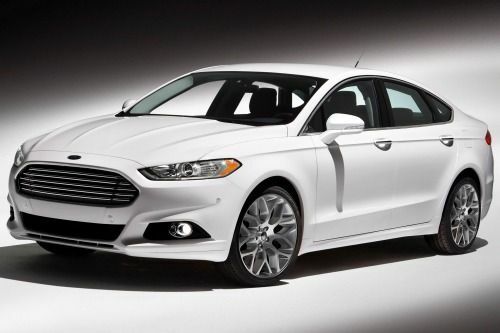 Lastly, Ford is also recalling 23 model year 2013 Ford Fusion sedans because certain vehicles may contain steering gears that may have been manufactured without an internal retaining clip. The absence of the retaining clip could lead to loss of steering wheel control or impaired driving. The three recalls bring Ford’s 2013 recall total to over 700,000, which is roughly half of the total number of vehicles it recalled last year. Ford has not announced a recall schedule, but owners can contact the automaker at 866-436-7332 or visit the Ford Recall Notices website. Concerned drivers may also contact the National Highway Traffic Safety Administration’s Vehicle Safety Hotline at 1-888-327-4236 or go to www.safercar.gov. Ford’s recalls come just days after the National Highway Traffic Safety Administration announced a preliminary investigation into more than 400,000 model year 2011-2013 Ford F-150 trucks equipped with 3.5L EcoBoost gasoline turbocharged direct inject engines. According to the NHTSA, it has received 95 reports detailing acceleration problems. In particular, owners mention unexpected reduction in engine power during hard accelerations at highway speeds as the primary problem. One-third of these reports have taken place while attempting to overtake another vehicle in rainy or humid conditions. Despite the severity of the problem, there have been no reports of crashes or injuries. Ford has acknowledged the problem, and even issued three technical service bulletins related to intermittent engine misfire in 2011-2012 F-150 trucks, but has not issued a recall. Click here to read Torque News’ in-depth coverage of the government’s probe into Ford F-150 vehicles.